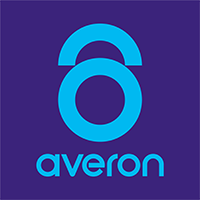 Averon is transforming online consumer experiences, creating social identity solutions together with leading global technology and rideshare companies, using a unique yet proven approach (protected by 29 patents) that opens new business models and increases revenue opportunities. Everyone today has been impacted by the hassles of electronic identity, and legacy methods have only worsened data hacks and privacy theft, resulting in $100 billion of market valuations wiped away. The rewards for the next generation of online social identity platforms are vast, and Averon’s technology directly taps these abundant opportunities. Averon is the new gold standard for digital identity, offering ubiquitous solutions across the online realm via WiFi and LTE. Averon’s platform is trusted by the world’s leading ridesharing and delivery services, digital currencies, government agencies, and global telecommunications companies to provide the simplest user identity experience and highest-caliber security, with zero effort and maximum trust. Join us in restoring sanity to online identity and opening doors to valuable new consumer experiences. In addition to our stellar leadership team, our advisory board members include John Chambers (former CEO of Cisco), Sheila Marcelo (founder & CEO of Care.com), Prof. Jonathan Zittrain (Harvard), Emily Ward (former VP of eBay/PayPal), K.V. Rao (founder of Zuora), and James Kondo (former VP of Twitter & Chairman of Twitter Japan).